Strike at NBO, leading to numerous cancellations and huge delays. I'm attending the African Airports Congress in Luxor and yesterday evening Jonny Andersen, the CEO of Kenya Airports Authority, dropped everything and returned to NBO in order to handle the crisis. One of the reasons for the strike is the plan, made public by QA a few weeks ago, to create a single entity covering airline and airports in a similar fashion as Ethiopian operates now. I pity those who planned a safari in Kenya. ...By the end of the day, however, most scheduled arrivals had been processed while the departures backlog was being cleared, state-run airports operator KAA said. The strike was sparked by a plan to hand over management of the profitable airport, the largest in the country, to the loss-making national carrier..."
Due to a strike of Custom services at Paris-#Orly, disruptions and additional waiting times are to be expected when leaving the airport. We apologize for any inconvenience caused. A National strike is called in France for 19 th March. No info are available at this stage on possible support from ATC. We are in contact with French authorities and info will be published as known. Strike at AMS Amsterdam Schiphol Airport on Monday 18th March 2019 by FNV's security and ground handling. Strike from 12h30L till 13h36L = 66 minutes. Claim: the "AOW-leeftijd" (retirement age) must be limited at 66. British Airways employee unions urged members to reject the airline’s latest pay proposal and said they will begin preparing for a potential industrial action. Does that include the pilots operating the CRJ900s on wet-lease to Brussels Airlines? HungaroControl confirmed that there will be a 2 hours so called “warning strike” on April 17th between 09:00-11:00 UTC. 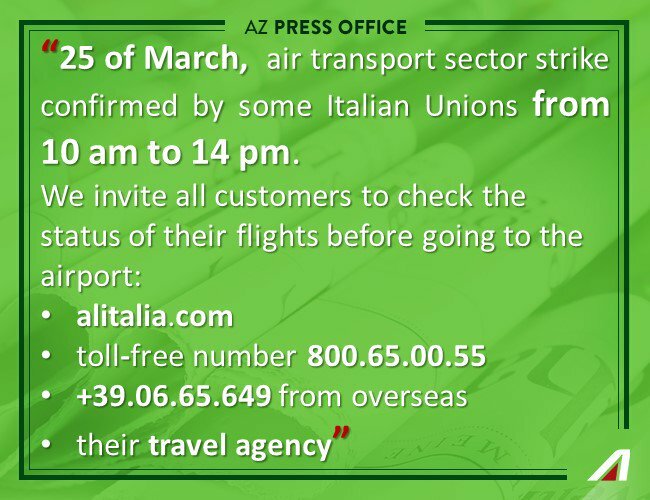 Depending on the outcome of negotiations, ATCOs could decide to go on strike for unlimited time starting on April 23rd daily between 08:00-13:00 UTC . NMOC is looking at possible Network impact and will organize a conference call beginning of next week. 13, 14, 15 April "unexpected" strike at Tunisair. 8 flights of Brussels Airlines to be cancelled tomorrow. That's just the opposite of a previous situation, when all the Brussels Airlines pilots were on strike and only the flights operated by CityJet and bmi were in the air. 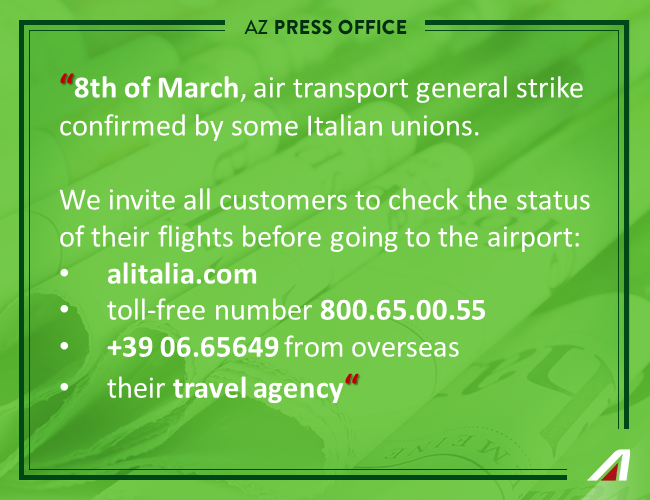 Air Corsica answering no flight will be affected after a threat of strike as from 20 April 2019. Portugal declared an “energy crisis” after a nation-wide strike by fuel truck drivers continues since Monday, the intermittent strike by fuel suppliers at Portugal’s airports is also and seriously hampering air traffic. All three major Portuguese airports (Faro, Lisbon and Porto) have been affected by the strike that is expected to last until Friday, 19 April. Due to industrial action, JET A1 FUEL is not available at LPPT airport (Lisbon) after 1100 UTC. The union for Norwegian cabin crew based at Paris CDG airport have issued a strike warning for 24,25 and 26 of April. The cabin crew lots disagree over working conditions and pay. Last edited by sn26567 on 21 Apr 2019, 00:09, edited 1 time in total. Reason: changed "pilots" to "cabin crew"
SNPL / Syndicat National des Pilotes de Ligne (France) release a warning for a strike of French pilots from Air France, Transavia, XL Airways, Corsair, Vueling and easyJet (at least) as from 6 until 11 May 2019.